Are you an empath who wants children but are scared? First, I want to say that empaths make wonderful, loving sensitive parents. The secret is learning to set as many fierce boundaries as you can to create as much alone time as is feasible. This is a huge challenge with children, especially infants. But if you have a loving mate who is willing to support you in this you can meet each week to develop time management skills that will support you. You will be challenged with children but the rewards are great. You must be very loving with yourself as you go on this journey and learn to take power naps whenever you can. I would take it a day at time and not catastrophize about what could happen. Something magical takes over when you have a child and your heart is filled with enormous love different than you may have experienced before. This love can teach you as an empath along the way. 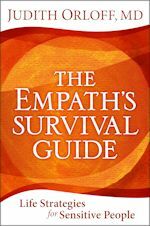 Please read my book, The Empath’s Survival Guide as I have a complete chapter in it on parenting and raising empathic children.